Heavy Duty Walk-Thru: 14 gauge rail with 20 gauge filler. Economy Walk-Thru: 19 gauge rail with 22 gauge filler. 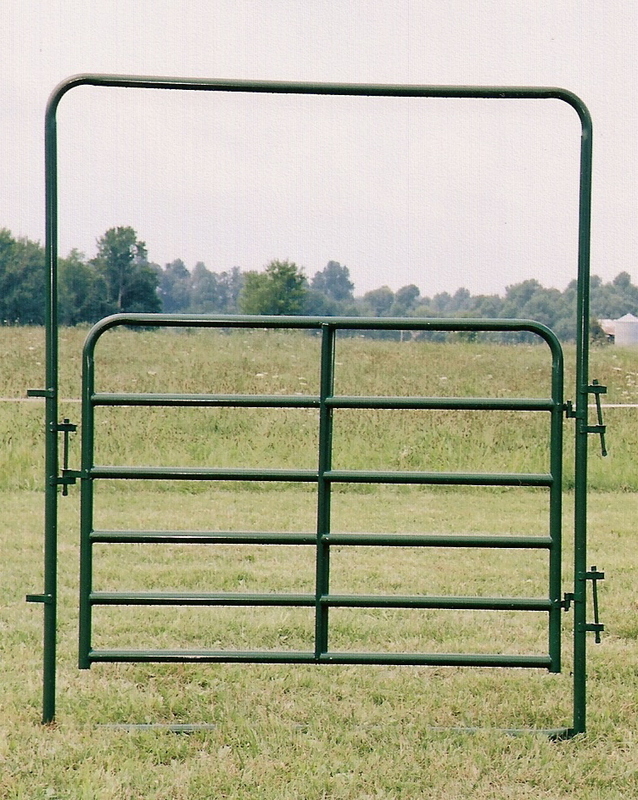 Lengths 4' to 10' in 2' segments, available in green or galvanized. 7' x 9" Arch, Rounded corners on both Arch and Gate. Hinges are welded. Makes corral system easily accessible. Dual Stamp Pins for quick and easy entry. Additional weld support to Arch of 8' and 10' units to provide strength and support. Lengths 4' to 10' in 2' segments, available in green or red. 7' x 9" Arch, Braces are welded after horizontal bars are put in place 6 up. Strenghtening braces is done by folding the edges and bending into Z-shape. Hinges are welded. 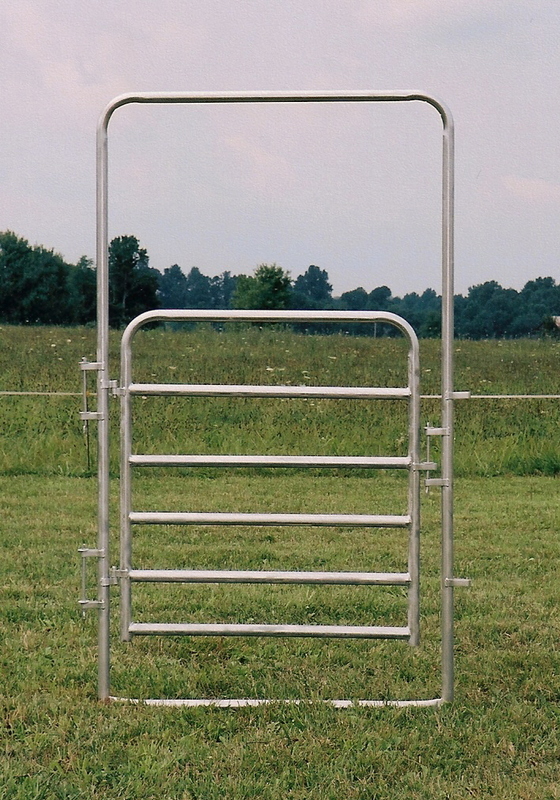 Both Arch and Gate have rounded corners, easy access with corral system, easy entry with Dual Stamp Pin System, & Heavy Duty Hardware, additonal weld support to Arch in 8' and 10' lengths. Economy Walk-Thru is made of 19ga. rail with a 22ga. 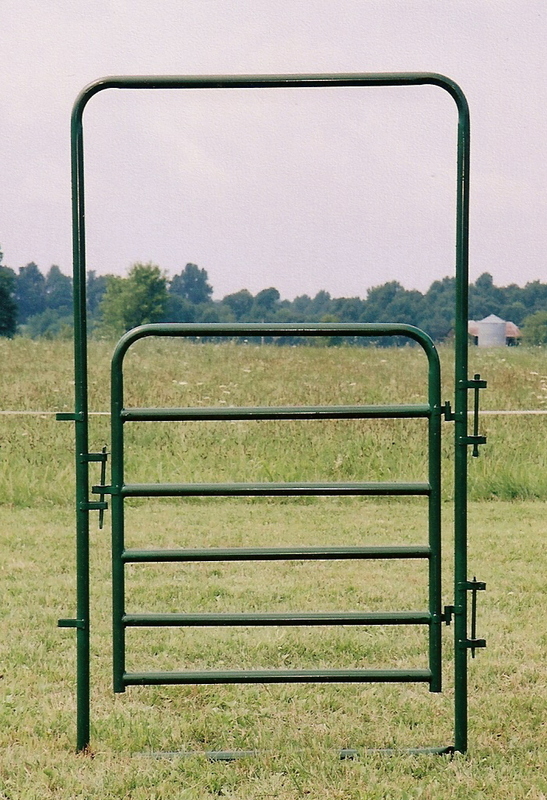 filler, available in green, red, or galvanized. Lenghts 4' to 10' in 2' segments.